Nearly a decade before his creation graced the silver screen in Dr. No, a struggling Ian Fleming sold the rights to his first James Bond novel, Casino Royale, to CBS Television for the then-large sum of $1,000. After numerous creative changes, including making James Bond an American, Casino Royale premiered on October 21, 1954 as an hour-long episode of the popular live TV show Climax. In addition to giving Bond a nationality switch and referring to him as “Card Sense Jimmy Bond,” the producers also inexplicably changed the names of two main characters: Vesper Lynd became Valerie Mathis and Felix Leiter became Clarence Leiter. The Rene Mathis character was completely omitted. Fortunately, CBS decided to keep the actual plot intact, as Bond’s mission still revolved around bankrupting Le Chiffre at the baccarat table in order to have him killed by the people he was indebted to. The episode itself starts out with James Bond being fired at by an unknown assailant. Then, once inside the casino, Bond teams up with Leiter who gives him his instructions. Perhaps the biggest difference is that Valerie was Bond's former lover. Throughout the episode she was still in love with him and never gave into Le Chiffre. 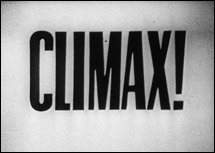 As for the action, despite being showcased on a live episode of Climax, it was relatively anti-climatic. However, one needs to look no further than the era the show was created in and the average TV budget at that time, which was miniscule. The portrayals of the main characters ranged from great to horrible. 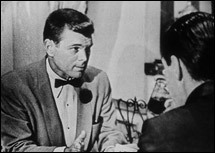 Barry Nelson’s James Bond was a poor rendition, though it’s tough to take it seriously when he was playing the world’s most famous British secret agent as an American. Peter Lorre played Le Chiffre and did a magnificent job, even by today’s standards. In fact, I would even rank him above Mads Mikkelsen in the 2006 version. Unlike Mads, Lorre made you believe that he was an evil little man who was capable of anything. Lorre’s portrayal was also far closer to Fleming's Le Chiffre than most villains were in MGM movies based on Fleming’s work. All in all, it was not too bad. To rate it on the same scale I rate the movies would be pointless because it wasn't a movie, there was a minimal budget, it was created nearly 10 years before the series “officially” began and it was a live broadcast, meaning there were no second takes. Still, it is the very first instance of Bond on screen, so that alone makes it worth a view. For years, the 1954 version of Casino Royale was something of an urban legend for Bond fans. Sure, we knew it existed, but few had ever seen it. Finally, in the early 1980s it was released on VHS as well as being a part of TBS’ Bond marathons in the USA. However, the VHS and TBS versions were missing the final minutes of the finale. As the years passed, TBS stopped running Casino Royale as a part of their marathons and the VHS copies became more and more rare. In fact, I was only able to get my first copy in 1996 when a fan of Universal Exports was kind enough to copy it and send it to me. 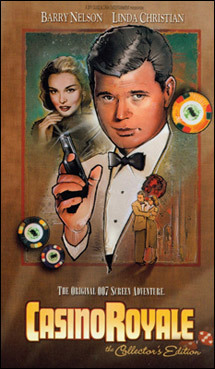 A new VHS would appear in the late 90’s with the complete version of the show, available from Spy Guise Entertainment, a popular Bond memorabilia site. They also had plans to make a DVD version, but those were scrapped when MGM obtained the rights to it and released the non-complete version on the same disc as their reissue of the 1967 Casino Royale spoof. So now, while the truncated version is easily found, the full-length original exists solely in a VHS edition that is available from amazon. The film version from 2006 is not entirely consistent with the book either. In the book, Bond is playing Chemin De Fer – the game everybody interested in high-stakes casino gambling played back in the days. 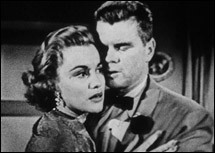 In the movie, the action was transferred to a Texas Hold’em table, which actually is a better choice since the game is beatable with the correct casino strategy.